Founded by Henry and Nicole Preiss, Preiss Imports is a licensed California importer with over 30 years of experience. Preiss Imports receives all US and International spirits entered into ADI’s Judging of Craft Spirits. With their help international distilleries without COLAs can receive waivers so their spirits can be entered into the Judging. 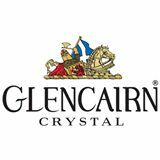 Glencairn Crystal is a family run business that in the past three decades have become leaders in their industry. In 2006 they were awarded the Queen’s Award for Enterprise in recognition of its Glencairn Whisky Glass. Glencairn has generously sponsored ADI’s Judging of Craft spirits by providing both glassware and our Best of Class crystal trophies. Our judges find the Glencairn’s copita nosing glass to be one of the best glasses available for evaluating a spirits nose, color and flavor.